Pratt Industries presents CKS Plastics with award recognizing their sustainability efforts on Friday June 21, 2013. 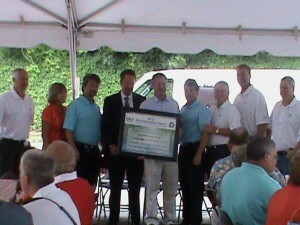 Pictured are (left to right): Scott Laughridge (Strategic Accounts), Kelle Sewell (Account Manager), Scott Sewell (CKS, COO), David Dennis (VP, Sales & Marketing), John Sewell (CKS, CEO), Drew Sewell (CKS, COO), Bob Herb (President, Operations), John Day (GM, Conyers Millugator), Lee Lewis (Plant Manager). On Friday, June 21, Pratt’s millugator in Conyers welcomed CKS Plastics and 27 of its managers from across the country (14 plants) and from their corporate office in Atlanta. The CKS group was escorted by bus to Conyers by Pratt Account Manager, Kelle Sewell and Pratt Strategic Account Manager, Scott Laughridge. The tour included a stop at the Pratt’s innovation and technical support center, clean energy plant, mill and concluded with a tour of the corrugator. For some of the CKS managers, this was their first tour of a corrugated plant. Headquartered in Atlanta, CKS is a major producer of plastic containers, and supplies to many of the customers Pratt currently serves. 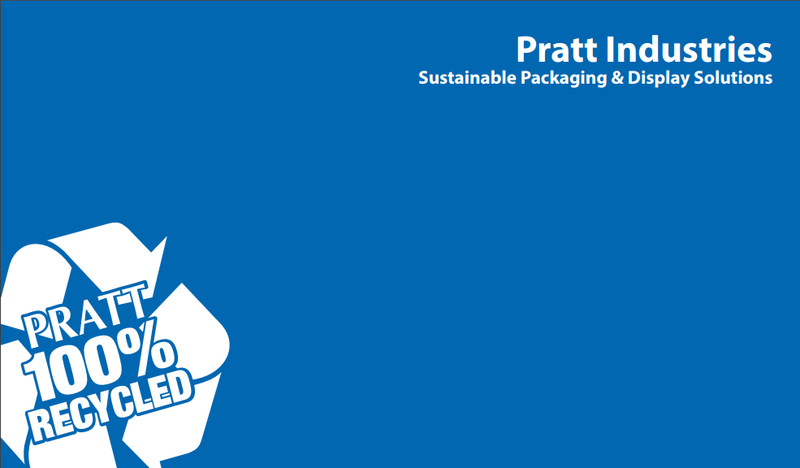 They are currently on a mission to increase their sustainability position and have used Pratt in a variety of ways to support their new initiative – including the use of Pratt’s recycling group. They’ve also worked with Pratt Director of Sustainable Packaging Business Development, Suzanne Fisher, to assist in the development of their scorecard and web page enhancement. Pratt Industries Chairman, Anthony Pratt, visited the CKS folks earlier in the year enjoying a top to top exchange and sharing of ideas for the future. Following the millugator tour, the CKS group was treated to a steak luncheon served by Pratt employees. Before being escorted back, David Dennis (Pratt Vice-President of Sales & Marketing) presented CKS CEO, John Sewell, with an environmental award that recognized CKS for their solid commitment to the environment and for choosing Pratt as their partner. Pratt is fortunate to have CKS as one of its customers and looks forward to the amazing growth that is sure to come for both companies.